Wynne/Jackson teamed up with an experienced Georgia based developer of master-planned communities for a program to expand into the Atlanta market. The 431-acre site was purchased mid-2004 and delivery of the first phase of 350 lots occured in 2006. The project is highly amenitized community that will include over 800 lots at final build-out. 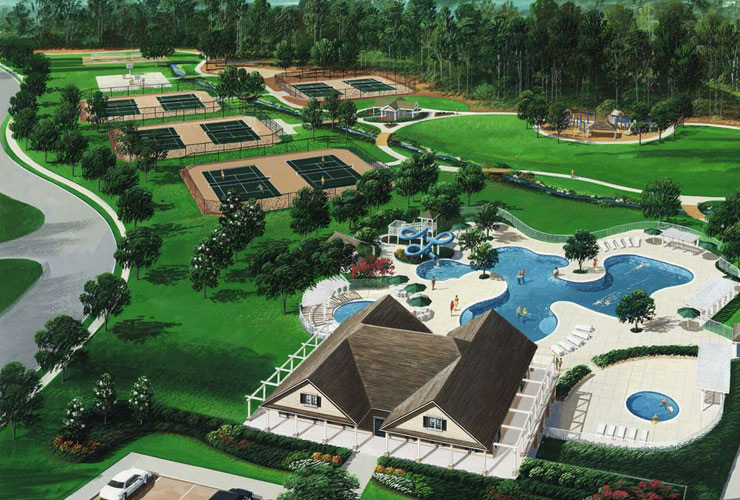 Amenities include a large clubhouse, resort style pool, fitness center, and tennis facility. Local custom builders are building homes in the community from the $200’s to the $500’s.